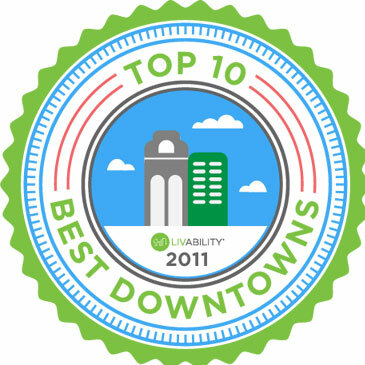 Affordable cost of living, vibrant downtown, breathtaking beauty, outdoor fun, eclectic arts community, year-round events, and so much more. 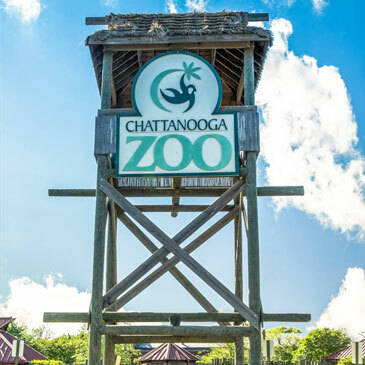 Discover all the great reasons to call Chattanooga home! 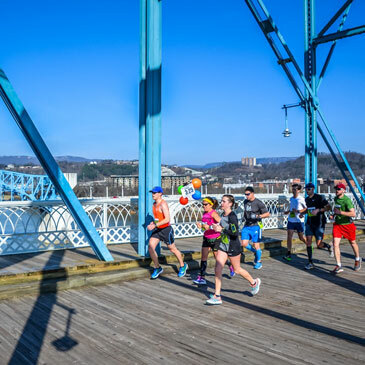 The South’s most scenic run winds from the Tennessee River to Lookout Mountain to historic downtown. There’s something for all runners, including a team event, half-marathon, 5k and Kids’ fun run. Sponsored by Erlanger and BlueCross! 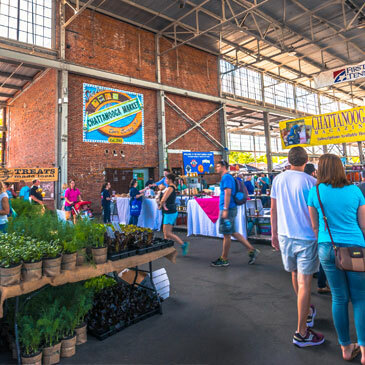 Voted one of the top public markets in America, this open-air pavillion brings our community together every Sunday with the lure of fresh produce, artisan foods, live music, and award-winning arts and crafts. 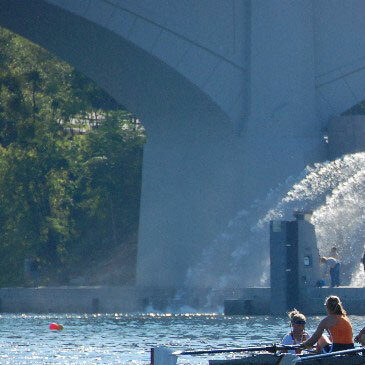 Every year on the first weekend in November is one of the world’s largest rowing regattas. Enjoy food and fun on the shoreline, and watch 2,000 boats from around the world race beneath the bridges. 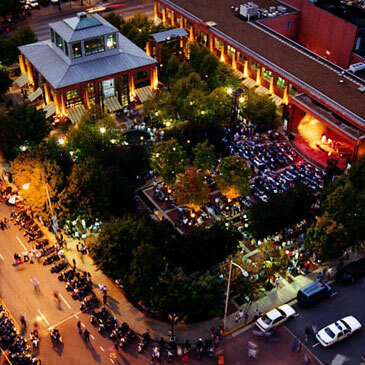 The heart of Chattanooga’s downtown pulses with free live music every Friday night in the spring and summer. National and international artists perform a variety of styles – from bluegrass to indie rock to jazz. 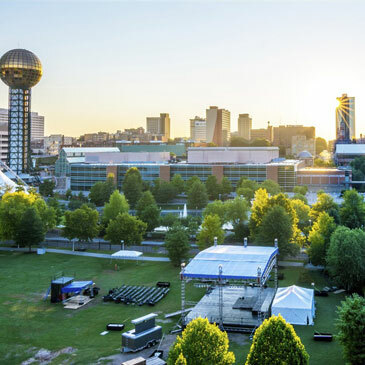 Five stages, 100 bands, rock, country, bluegrass, jam bands – RiverBend has something for every musical taste. 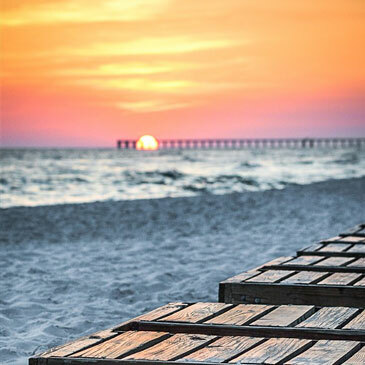 After more than 30 years, the South’s greatest festival keeps getting better. 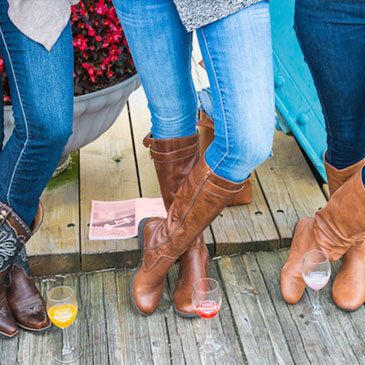 Tennessee’s premier wine-tasting festival is right on our river. Sample vintages from around the world as you stroll the historic Walnut Street Bridge, linking downtown and the vibrant North Shore district. Cheers! 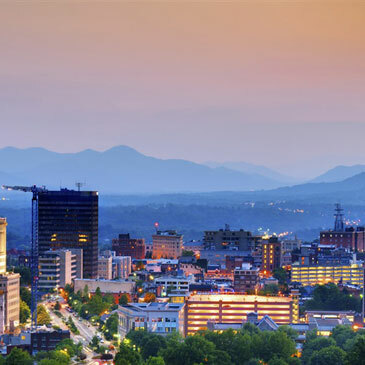 Chattanooga’s mountains and scenic beauty make it a natural for great cycling races. And we offer a host of nationally-acclaimed road and mountain bike events – in addition to great cycling for our Ironman and Triathlon races. 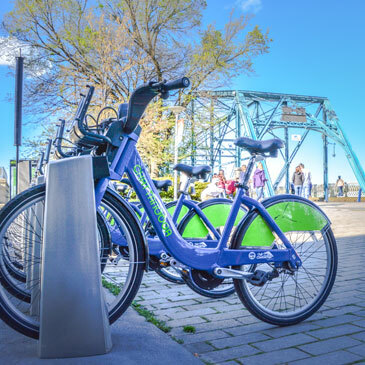 Designated a Silver-Level bike-friendly community, Chattanooga makes commuting easy with new bike lanes and rental program. 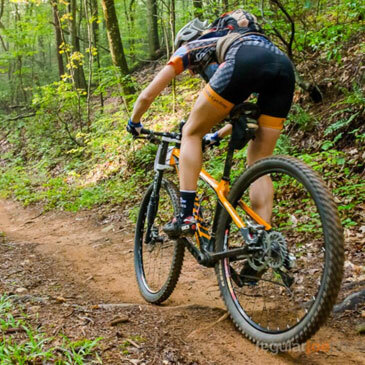 Unmatched trails, parks and greenways offer something for road and trail cyclists of all levels. It’s a short drive to spectacular hiking trails along the Cumberland Plateau – and our parks, greenways, and natural areas offer close to 100 miles more. 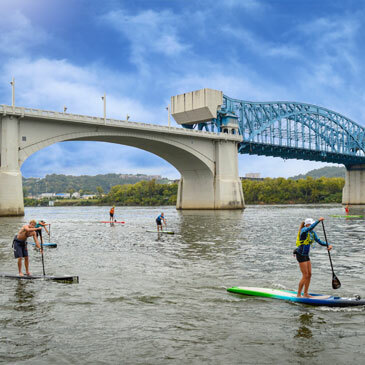 Our many lakes, rivers and streams have made Chattanooga a mecca for paddleboarders. 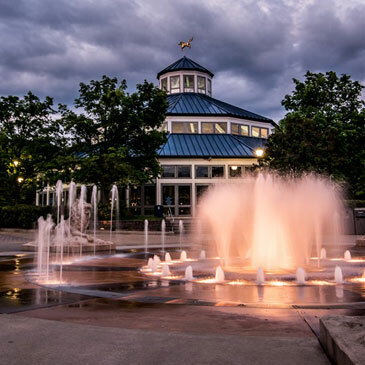 Coolidge Park in the NorthShore area is a popular weekend destination for picnickers, frisbee throwers and carousel riders. 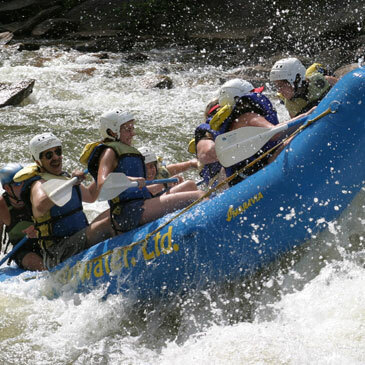 The Ocoee River offers the best whitewater this side of the Mississippi. Find out why it was selected as the slalom venue for the 1996 Summer Olympics, or head to the nearby Hiwassee for gentler thrills. Just an hour away with plenty of outfitters to choose from. 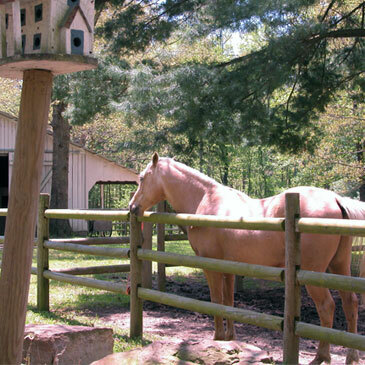 Whether you’re a seasoned horsepacker or casual rider, Chattanooga has hills and pastures aplenty for saddling up. 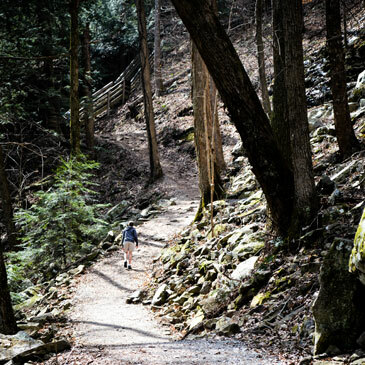 Nearby state and national forests offer hundreds of miles of trails. 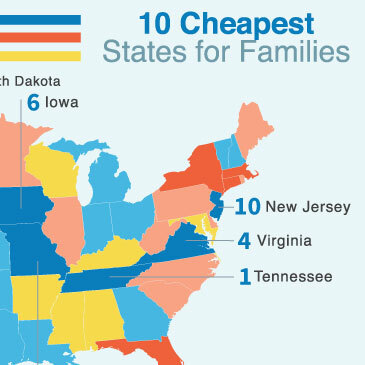 GOBankingRates, 2015 - Tennessee’s median home listing price is $30,000 lower than the national average, and food costs are 5 percent lower on average. 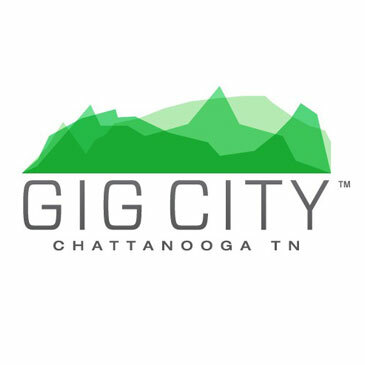 Chattanooga is the first city in the Western Hemisphere to offer 10-gigabit-per-second fiber internet to all residents and businesses. 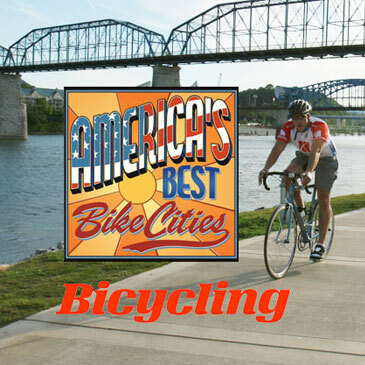 Bicycling Magazine - Chattanooga stands out with new bike rental program as well as hundreds of cycling routes and paths around the city. 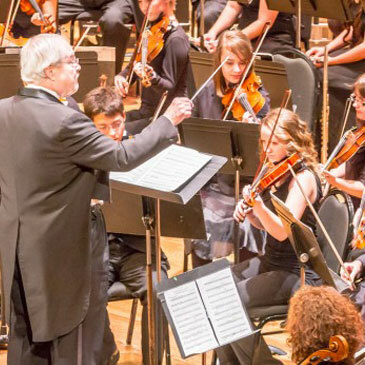 A one-of-a-kind musical merger that’s been inspiring and enriching our city for more than 80 years. 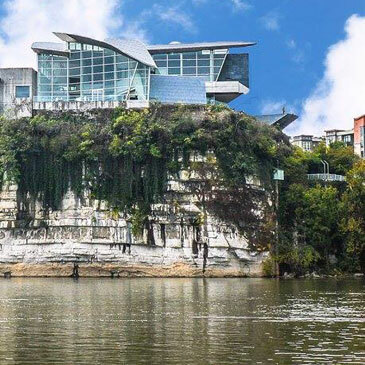 Perched on an 80-foot bluff overlooking the river, the Hunter Museum features one of the country’s finest collections of American art dating from colonial times to the present. 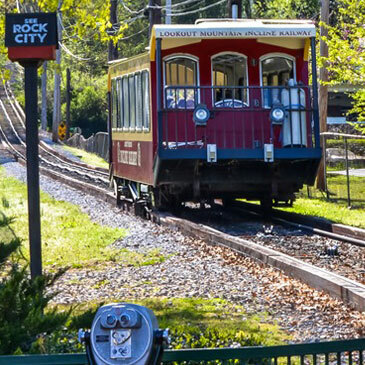 This historic district is nestled at the foot of Lookout Mountain, and boasts a vibrant night life, stately Victorian homes, and a new walking path that connects to downtown. 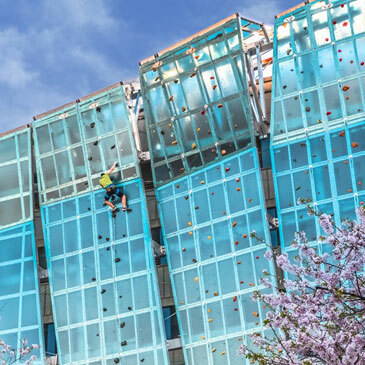 Near the Riverfront and the Aquarium, High Point is one of the nation's most unique climbing facilities with 30,000 square feet of climbing inside and outside. 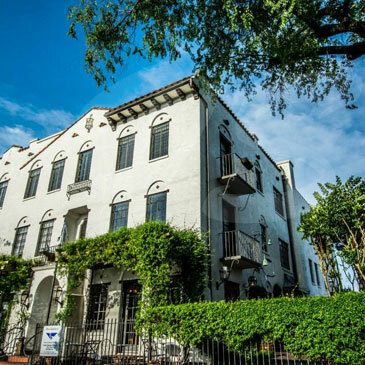 A great place to wander world-class art galleries, artisan coffee shops, bakeries, and local restaurants. 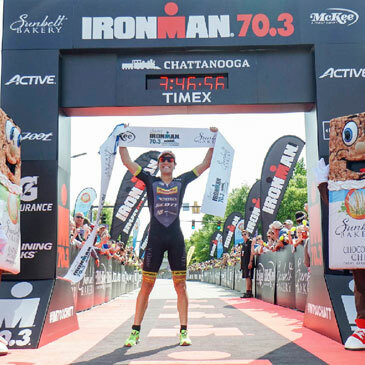 Our legendary rivers, hills and outdoor community have made Chattanooga an “Athlete’s Choice” for one of the most difficult one-day sporting events in the world. Come cheer or compete! 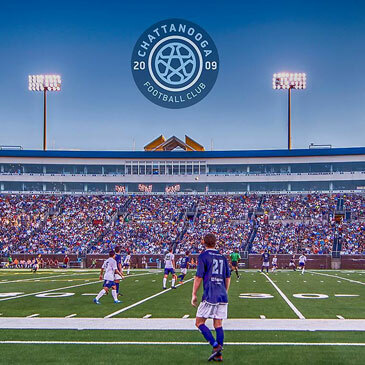 Join our loyal “Chattahooligans” to march, cheer, and sing as our Premier League soccer club takes the field. Our team has qualified twice for the prestigious Lamar Hunt US Open Cup, and is a fan favorite in the league. 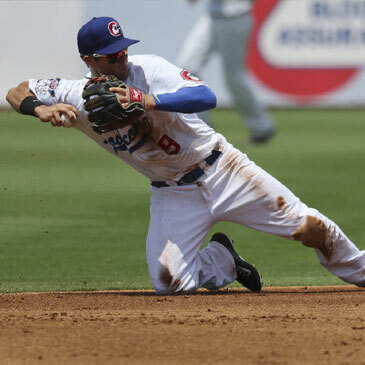 Buy peanuts, Cracker Jack, and season tickets for the best pro baseball value around. Our Double-A affiliate for the Minnesota Twins was the 2015 Southern League Champion. Enjoy fireworks on the field and after the game! 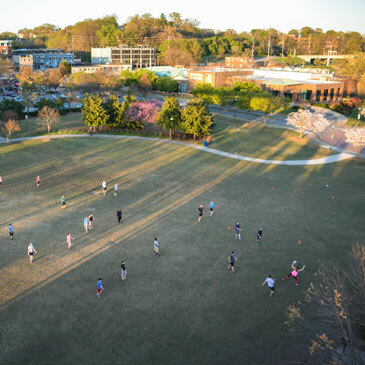 Enjoying great college sports is easy with a top-100 athletic program right in town. 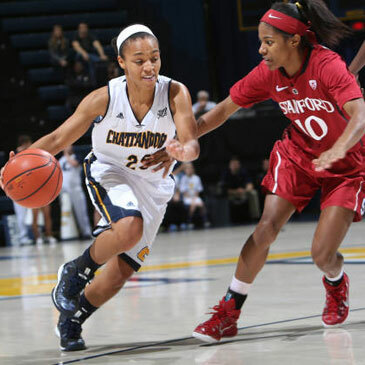 UTC consistently leads the Southern Conference, making frequent NCAA tournament appearances in basketball, golf, volleyball, and wrestling. Go Mocs! Our central location lets you enjoy major sporting events – without a major headache. 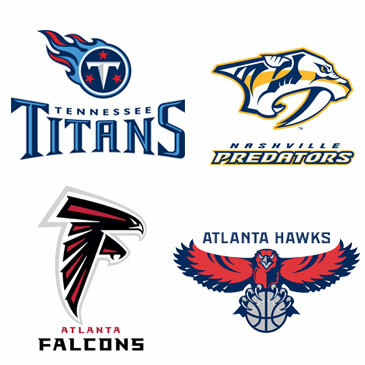 We’re just a two-hour drive to Atlanta for the Hawks and Falcons, or Nashville for the Titans and Predators. 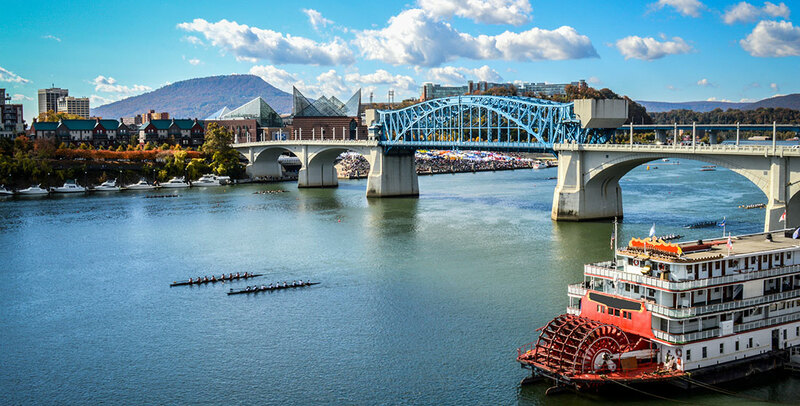 Chattanooga is just a two-hour drive from the University of Tennessee in Knoxville—one of the most storied college athletic programs in the country. Arch rival Vanderbilt in Nashville is an equally easy drive away. 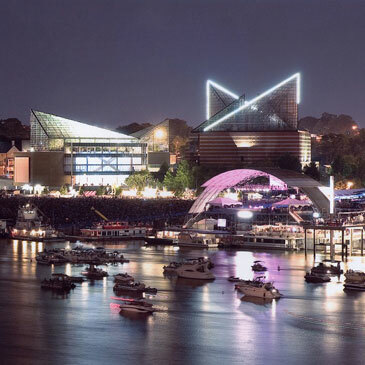 Vibrant downtown, artsy river district, mountains…wait, that sounds like Chattanooga. 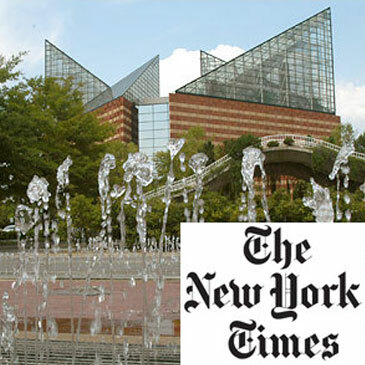 But take time to explore Ashville’s own hip vibe and vast 19th-century Biltmore Estate. 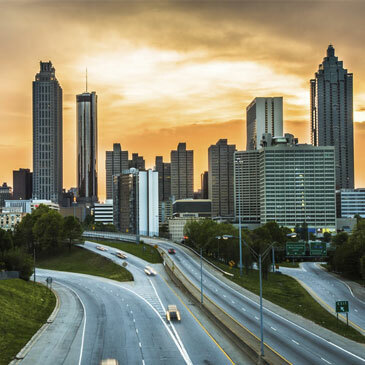 Enjoy Georgia’s spectacular, sprawling capital – World of Coca-Cola, CNN tour, the High Museum, and Aquarium – and escape back to Chattanooga by supper time. Rivers and lakes are terrific, but if you long for salt and sand, don’t despair. Gulf and Atlantic beaches are the same, very drivable distance away. 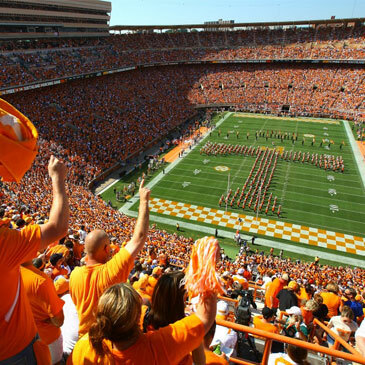 Catch a show at the Tennessee Theater, wander the shops of Market Square, and if you love the color orange, join the 100,000 faithful for a fall pilgrimage to Neyland Stadium. Go Vols! 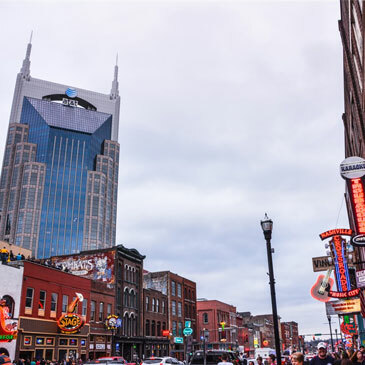 Visit the historic Ryman, stroll down Broadway’s honky-tonk lights, and catch a rising star at the Bluebird Café! Music City makes a great day trip. 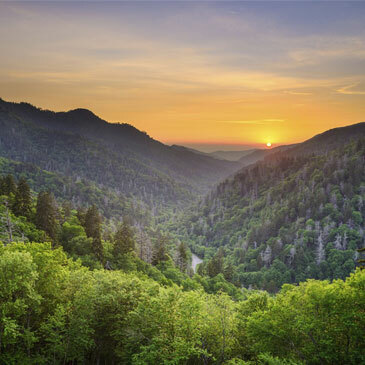 From Dollywood’s shows, to Gatlinburg’s shops, to Mount Leconte’s majesty – a trip to the Smokies makes an easy weekend getaway. Enjoy a remarkable journey from the mountains to the sea as you explore above and below the water’s surface. 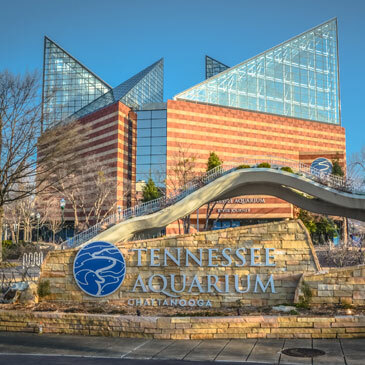 Find out why visitors rate it the best aquarium in America for overall guest satisfaction. This historic railroad terminal is now a cultural hub for Chattanooga’s popular Southside. 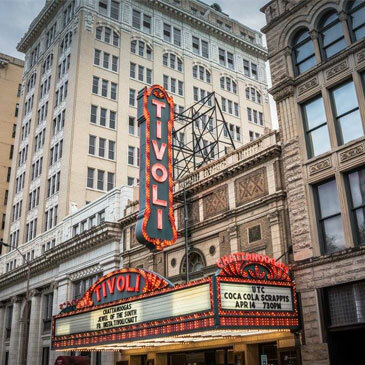 Enjoy two intimate music venues, award-winning comedy club, fine dining, and local art shops. 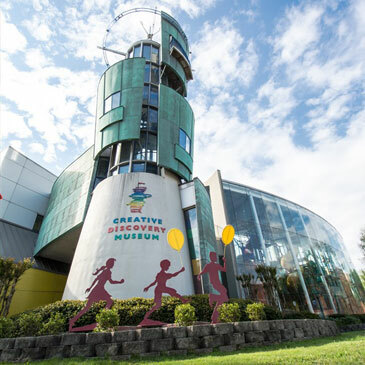 The young and young-at-heart have made it one of the nation’s top children’s museums. 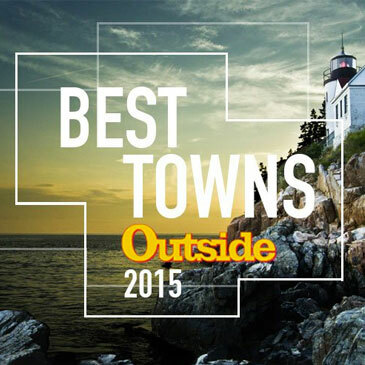 It inspires more than 200,000 visitors a year with a passion for learning through play and hands-on exhibits. 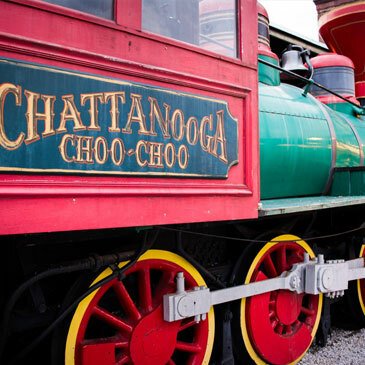 One of Chattanooga’s last passenger trains is also one of its most incredible. Ride “America’s Most Amazing Mile” straight up the side of Lookout Mountain for great views and historic Civil War sites. 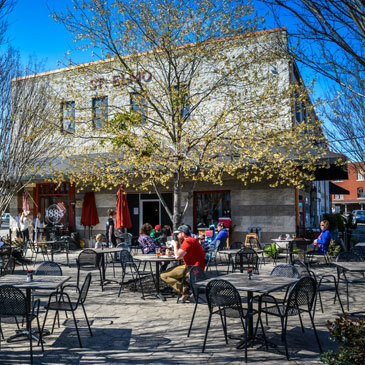 This eclectic neighborhood is “where hip meets historical.” You’ll find great local dining and shopping along the river – not to mention one of the most panoramic walking bridges in the country. Connect with incredible rare animals—from snow leopards to tamarinds. Our zoo’s intimate, innovative exhibits inspire all visitors to better understand and preserve wildlife. Erlanger is the region's only Level One Trauma Center, and only academic teaching hospital, affiliated with the University of Tennessee College of Medicine Chattanooga. Providing the highest level of care with immediate access to state-of-the-art equipment and a staff of pediatric subspecialists. © 2017 Erlanger Health System | Erlanger is committed to equal opportunity for all staff and supports all EEOC hiring guidelines.